If you are ever caught near Key Largo, Florida, make sure you drop in at Harriette’s restaurant. It is an American restaurant serving classic American breakfast and lunch, with some healthy alternative options. The small yellow shack has a nice warm feeling once you enter. It is like a cozy home that cooks up delicious meals. Harriette’s is best known for their muffins and pies. They have a nice selection of muffins and the muffin sizes are pretty big and delicious. This shack always has excellent service and a friendly staff. 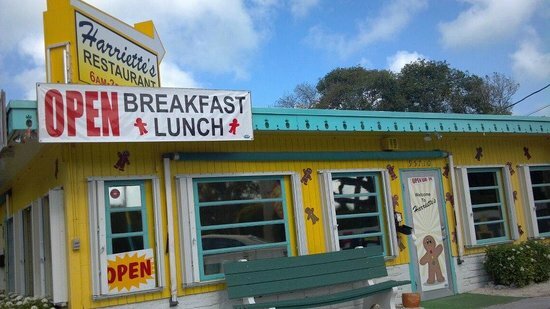 They are located on 95710 Overseas Hwy, Key Largo, FL 33037, and are open daily from 6:00 a.m. – 3:00 p.m.